I'll be posting these interviews over the next few weeks but first up is Kelly Jensen from Stacked Books. I was lucky to meet Kelly when I was in the US a year or so ago but I have been following (and recommending) her blog for years. It is a never ending source of information on books and libraries but I admit my favourite facet are the discussion posts. Stacked aren't afraid to dive into murky waters and raise some candid questions, questions that really need to be asked about both the publishing and library industries. If you don't read Stacked then please consider this an introduction.. I think the biggest thing that's changed, at least for me, is I have way less of an idea who my readership is because content sharing and engagement has changed so much. We used to get a lot of comments and engagements on STACKED, but now, we get few comments, despite the fact our hit rate is much higher than it was in the past. I think a lot of this has to do with sharing through other venues -- Twitter and Tumblr, especially. And with those two mediums, people have the opportunity to not only share, but they can then expand with their own ideas without having their voices limited to the comments section of a blog post. In many ways, it's neat knowing people are engaging in a different way, but it's also harder knowing what is working and what isn't. I've had posts I thought would do well and they get little response, and I've written stuff pretty quickly, thinking it would "do," and that stuff has done really well. The other things you bring up are interesting though, too. I don't know what the blogging trends are, aside from maybe more collaborative blogs that have more power (look at Book Riot, for example, which is a little over two years old and has massive readership). In terms of publishing's relationship/interaction with blogging, it's still unclear and inconsistent. There's maybe more blog advertising -- something we took the plunge on because Riot takes care of the front and back end of all of it (again, bigger venue = more power). Maybe another thing that's changed the blogging community is the loss of Google Reader. I know I got all of my feeds through it, and I'd browse it multiple times a day. Even though I'm using Feedly, I'm actually relying a lot more on Twitter and Tumblr now to have neat blogs and blog content brought to me. In some ways, I love that it's coming from someone I follow (i.e., someone who says interesting things I want to read) but there is a loss of spontaneity in discovering a great post via the daily feed, too. What decisions have you made in regards to the technological side of blogging? Kimberly and I haven't done a whole lot on the tech side of blogging. We're still on Blogger and have never talked about changing that. We pay for the .org address, but it's not self-hosted. We each have our own Twitter accounts, but we use them for personal, as much as professional, as well as for the blog. I have a Tumblr account, and when I know we have a good piece, I'll crosspost. Otherwise, honestly, we don't DO anything. Our design is the same as it was when we started almost 5 years ago. It works. We're going to be 5 years old in April, which is hard for me to believe. But it always comes back to the same thing: it's fun. It's an outlet. And as Kimberly and I have said to one another over and over, when it stops feeling that way, then we're done. But actually, the longer I do it, the more I find I not only enjoy it, but I need it. In terms of process, I guess now more than before, I have lists of things I want to blog. I always have ideas written down in notebooks or on post-it notes or in draft emails or draft posts. I used to do all of my blogging for the week in one day, but now that I'm balancing Stacked and Book Riot posts, I do far more blogging throughout the entire week, rather than just in one day/sitting. In other words, I'm a little bit of a better planner. The other thing that has changed process wise is that I've quit chasing things and people down. We take on very few blog tour/posts because 99% of the time, they're boring, publisher-produced content that our readers aren't interested in. I don't want to read it, let alone make it what my post is for the day. So when we DO take something on, I believe the responsibility for having it to me and on time falls to the person who made the request for the blog space, not me. If we don't get something, I'm not going to chase it down. I am far less beholden to pleasing other people, I guess is what I'm trying to say. Cruel question! Favorite book in the last three years? 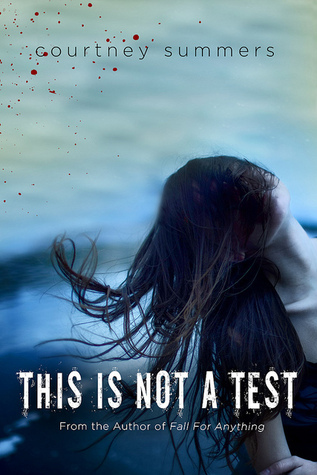 Actually, it's not that hard: This is Not a Test by Courtney Summers. I've loved many books in the last three years, but that book sits pretty high on the ALL time favorites shelf. I'm impressed by the longevity and quality of content by two blogs: Liz Burns at Tea Cozy and Ana and Thea over at The Book Smugglers. And OF COURSE there's Leila at Bookshelves of Doom! It's funny you ask about the longevity and content aspect because that's something Liz and I have talked about before. She's asked if posting about a topic would be worthwhile since it's something she feels everyone either knows or has read a million times before, and yet when she posts it, new readers find it, and old readers are eager to share it. I think you get to a point when you've been blogging a long time that even if you feel you're treading worn paths, you're really not. Your readership is always changing and shifting and growing. People still like reading that stuff and if they don't, they'll skip it and come back again later. To be honest, I've become awful about reading newer book blogs. It's not that I don't like them. It's that it's hard to keep up with them. I've loved what Sarah and Laura are doing at Clear Eyes, Full Shelves, though they're not super new. I like Tessa and Rebecca's blog Crunchings and Munchings but again, not entirely new. Sara at The Page Sage is doing some cool stuff, too. She did an entire "inside the industry" series, which is how I was introduced to her blog, and I've been keeping an eye on it ever since because I really like her voice. I'd like to say that Molly Wetta's blog, Wrapped up in Books, might be my favorite newer blog. She does such a great job keeping tabs on new and upcoming releases, and her resources for reader's advisory and library displays/programming are out of this world. If I had to recommend one must-read blog for new book bloggers, this would be it. A big thank you to Kelly for letting me pick her blogging brain! 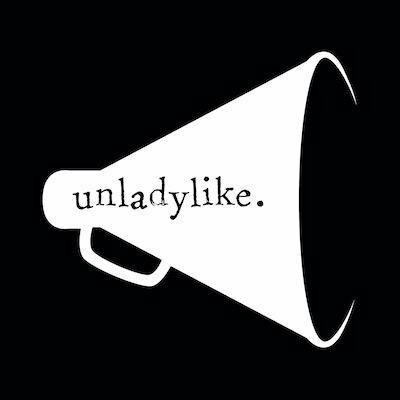 I am terrifically excited to share this interview, and those upcoming, as we look at the movements our community has made. I encourage you to pick your own brains about how you've evolved as a blogger and acknowledge the progress (and potential setbacks) you've experienced. Feel free to use these questions to dig deep into your experience as a blogger - leave a link in the comment section, hashtag it with #blogbreakdown and let's share our collective growth. Thank you - it's lovely to be back into this great community who have been instrumental in the massive career change I made three years ago. I look forward to learning more about how you've all grown! So happy to see you back (and of course, everything Kelly writes is basically blogging/reading gold)! And yes, Kelly is golden.